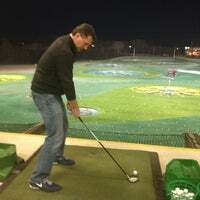 Golf is old-school no more! 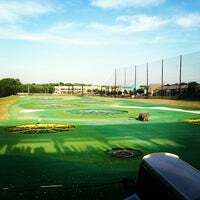 This high-tech driving range is fun for all ages and interest levels in golf itself. 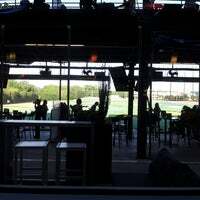 Tons of space, games, bars, and great food are throughout. It's not just golf! 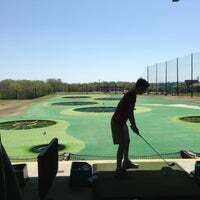 There’s so much to do here, besides the driving range games. The putt putt is absolutely amazing. There are 3 courses. There’s also free bean bag toss, giant cup pong, and giant connect four. 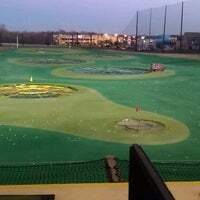 This place was so fun! You're in shade the whole time with a fine mist coming from a fan blowing onto you. Great! Go during the day bc it's $20/he but if you go after sunrise the rate is $40/hr! Wonderful place for both experienced golfers and newbies alike. Request a top bay to get the ultimate golf experience. Also, the queso and Southwestern Eggrolls are to die for!! Membership is only $5. Dog friendly. Great food and service. My new favorite place! Had a good time with family though having 4-5 per bay takes up more time and thus isn't worth going at night paying $40/hr. Other than that it was lots of fun and very cool concept. 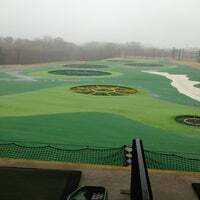 Not your grandpa’s driving range. 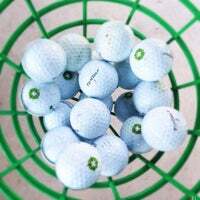 Micro chipped golf balls bring your game to a whole new level of competition. Go for the $35 deal because you get $45 worth of games. 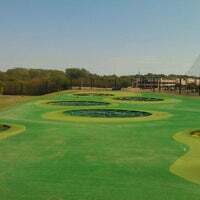 The miniature golf is a great deal, they hardly even mention that they have it. If you are in need of some serious fun you should definitely come here. 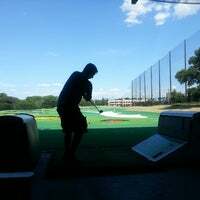 Batting cages, putt putt, and more! It's that time of year- the perfect golfing weather has arrived. 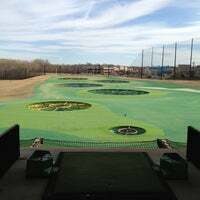 This is the place to go hang out with friends and practice your golf swing. 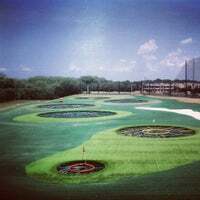 Make sure you check out the putt putt too! You have to get a membership card prior to reserving a spot, so keep that in mind when planning time. Great competitive fun! It takes awhile to get service, but is worth it in the end. Bring your drink from hutch and come for some swings :) . Oh wait if its friday night, be prepared to wait at least 30min. Really fun place, but only had 4 or 5 menu options, because they are going through a kitchen renovation. Service isn't great, but the concept is a lot of fun. Chicken and waffle sliders are a must. Digitally tee off and get yourself a Bloody Mary while you're at it. The food is also great. Order a Bloody Mary and the cheese nachos, a winning golf combination. People and atmosphere! Great experience all around! 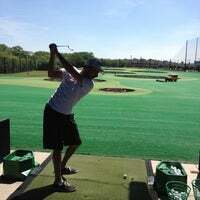 TopGolf rents out clubs, so you can leave your hockey stick at home, Mr. Gilmore. Don't expect a real score from the sensors. They always make sure to record the negatives but only SOMETIMES give you the points you score. Make sure to get a drink from Hutch. He's the best! Great nite out with Jan and Bob. Tons of fun!!! Don't let the young ones at the check in booth discourage you, the waits never as long as they say. Try the brisket chili cheese fries. Pleasantly surprise! 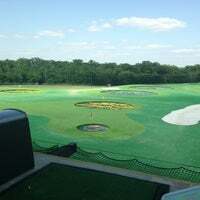 TopGolf is fun but this location is in def need of some TLC, can see screens, 1/3 of balls dont give scores, no mist fans and no express checkin like Austin. Doubling their membership prices for less services. Losing an avid supporter unfortunately. The kids portions are really small. The burger is the size of a very small slider. the only place where you'll get your check before you get your drink. The Mac Daddy burger is a must! A great place to take your date! I had blast can't wait to go again! The one in Allen is bigger and better. It's worth the drive. Buy the strawberry mint sangria by the pitcher! 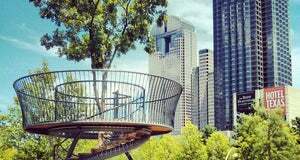 Great place to relax and clear your head! Fun place, wish we have them in CA! Chicken wings is a must! Bring koozies to keep your beer cool! Tuesday’s are half price for the bays!! Shroom and Swiss burger made in Chardoney ALL DAY!!! 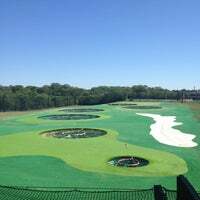 A golfers paradise for practicing your swing. They also mix up some strong beverages. needs a reboot. it used to be a great place to hang but the overall atmosphere has gone "meh"
The lifetime cards now are accepted at all locations. YAY! 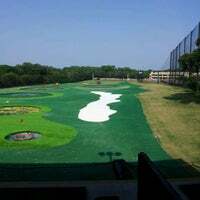 "Great basic driving range...basic amenities. BYOB though." "Love those Jungle Burgers. And they deliver!" "The fried pickles are some of the best I have had. The steak strips are amazing"
"Çok lüks ve şık bir alışveriş merkezi, tümünü gezemedik, gördüğümüz kadarıyla food court'u küçük tutmuşlar-iyi olmuş, Halloween süslemelerini çok beğendik:)"
"Awesome - always fresh huge ny style pizza slices / whole pies - they even make the slices fresh instead of heating up pre made slices." 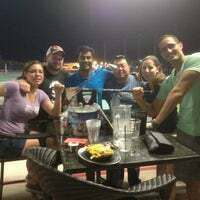 "The Pluckers card is the way to go! You get a free app or dessert with the purchase of two entrees! The Holy Mac and the Fried Oreos are a real treat"